Follow the journey of America's top female athletes as they go from meeting for the first time - and putting together one of the most difficult all girl routines of 2016 - to the competition floor in just a few days. 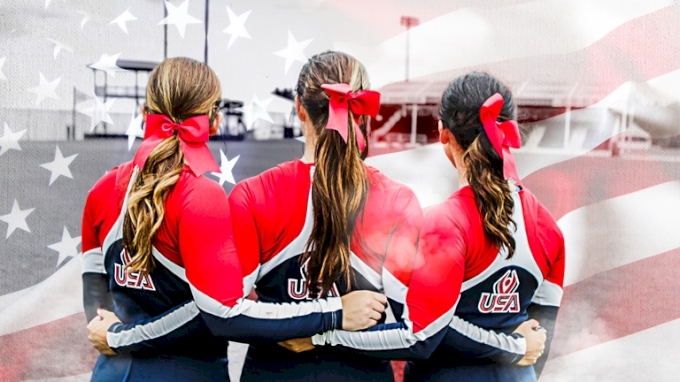 As the dominant team in the Premier all girl division, the USA National Team is home to America's top female athletes in the prime of their cheerleading career. Hundreds of athletes from across the nation try out for an opportunity to compete at the highest level of cheerleading on the planet and represent the United States at the ICU World Cheerleading Championships. Only 36 athletes are selected for the team and of that group, 24 make the mat. They meet in Orlando, Florida just 9 days before competition, as the team met for the first time ever to form stunt groups, build their routine and become a world championship team.